Why use a toothpaste dispenser? When one uses a dispenser, it means that one thinks more about hygiene in their daily life. These days, there are varieties of dispensers that are available and tooth paste dispenser is definitely one among them. One can easily go for an automatic tooth paste dispenser for regular usage but before buying them, one needs to have a good knowledge on how these dispensers function. These automatic dispensers are hand free and so they are very convenient for usage purposes. So, when they are hands free it means that when one uses them it allows the user to keep their hands tidy and clean. The tooth paste tubes which are used thus remain free of any kind of contamination. It also makes sure that there is adequate amount of tooth paste which is dispensed all the time when it is used. The major advantage of using a tooth paste dispenser is that it helps to keep the area clean. In many cases, if there are children in house then they can get in a messy situation with regular tooth paste tubes. They in order to play can splash up some tooth pastes on the walls and floors of the bathroom, and in the surrounding area. They also splash some on the wash basins as well. These things not only make the place untidy but there is a lot of wastage when it comes to the product as well. And due to the mess that is created, one needs to go through a cleaning process which is an additional headache. Using a dispenser means one can avoid these situations easily. When using the dispenser, one needs to use the pressure properly so that sticky and long strands of tooth paste are no more tracked down in the passage. Also, one needs to place the paste tube very firmly against the bristles so that it cannot catch any unprotected germs in between. As it has been said earlier that one uses a dispenser mostly for hygienic purposes. The tooth paste dispenser can prevent the paste tube from getting contaminated with the other germs and bacteria that can be present in the wash basin or in the bathroom area. For example, let say someone in the family has caught cold and flu. So, there is a high chance of others getting infected from the same germ due to contamination. 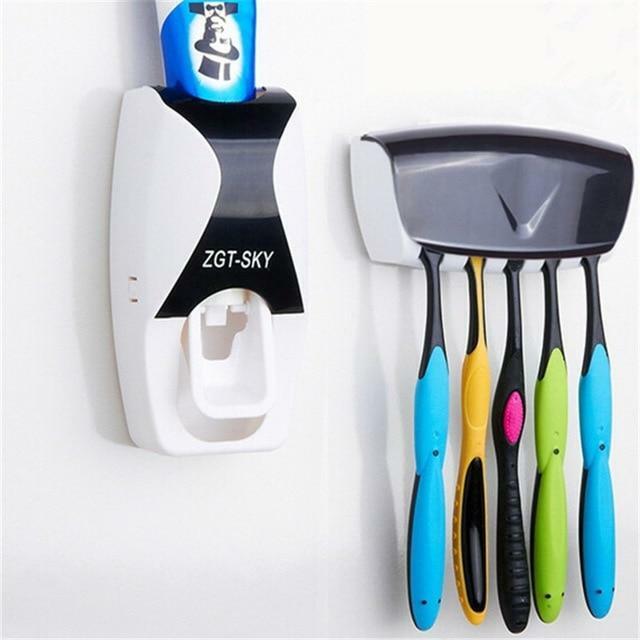 When using s tooth paste dispenser, one can make sure that those germs will never get contaminated at least from that aspect because when one uses a dispenser, there is no scene of touching the paste tubes and so there will be no spreading of germs from there. One can buy a tooth paste dispenser and can set them up in the bathroom. The process of setting the dispenser is not very tough. Most of these things are mounted on the wall area or over the wash basin area. One can also use a separate section to put them up. These dispensers mainly tend to use some vacuum force in order to squeeze the paste out of the tube.